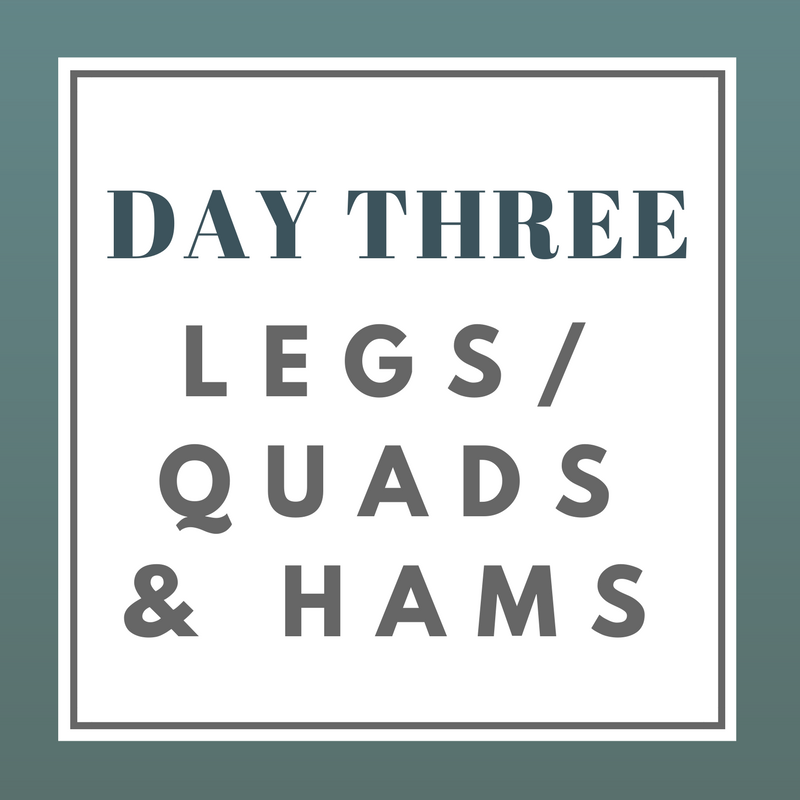 This Legs/Quads & Hamstrings workout may or may not be your actual day three workout. See how to schedule your workouts to determine what day to complete this workout. A hint if you are completing this workout twice this week (plus the Leg/Glutes workout, totalling three days of legs/week): Allow yourself to give more toward the full body exercises, deadlifts and squats, by splitting them up. Complete deadlifts on the first day (this workout will be your day one and day five if you're doing it twice) and save squats for the next time you repeat this workout. There are several variations of squats you can choose from. You can hold a weight, like a kettlebell, between your legs if a barbell is too heavy or use no weight at all. If the depth of the squat is challenging for you, try a bench squat, where you squat to sitting on a bench and then stand up again (without using momentum of swinging your upper body). Stay hydrated! This workout is almost like cardio to me. I push myself and really work up a sweat. You probably do too. It's important to keep water in your system because it is a necessary component for every process your body uses... even thinking clearly. Aim to drink at least half of your body weight (pounds) in water (ounces).